Please donate to this worthy cause, they can't talk, but we can! Watch Mario Lopez Squirm During This Hilarious Betty White Prank! Check out Betty White on Extra! Ann and Melanie actually got to prank him! Very funny! Want to know more about me! Check out the show I did yesterday! Confessions of a senior prankster! Live today at 11 AM! Check me out today at 11 AM! Great networking party for those of us that didn't make Cannes! I attended this wonderful event for a great cause. CASA helps children in the foster care system. Bill Cosby was delightful as he told his stories. Guest made generous donations to the charity but more is always needed to help these children trapped in a situation they did not create. A good time was had by all. I had the privilege of working on one of my favorite shows, "Castle." It's the season 6 finally and you know it's going to good! Check it out! Set your DVR or stay at home Monday night May 12, 2014, 10 PM ABC! Had a great time last night! New and old friends hanging out celebrating! Free panel and Q&A in Hollywood! 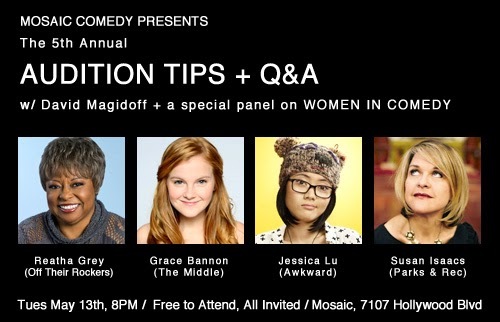 Women in comedy! Everyone is invited, men too! Samira's TV Show Premiers After Mid Night on KCSI -Channel 18 on Friday April 18th 12:30 AM. Check out the new home of Samira's Show! Reatha Grey is one of the co-host of this exciting entertainment show! Reatha Grey on the cover of The 5 Magazine! I'm performing live on March 23, 2014. One hour TMI Show, tickets are only $5. Come ready to laugh! Click to see video: Post by The EZ Show. Limited seating so get your tickets early! Looking forward to seeing you there! Reatha Grey on the EZ Show. I had a great time with Eric Zuley on the EZ Way Show! We talk about Baby Boomers Live, and how to vote for Betty White's Off Their Rockers in four categories of Reality Wanted Awards! Click the EZ Show to watch the show. 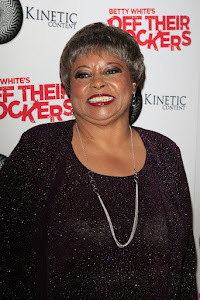 Click vote for Betty White's Off Their Rockers to vote for Reality Wanted Awards in categories: Cast - Returning, Unique Concept, Betty White - Queen of Reality, Betty White - Host/Hostess. You can vote every day, so vote soon, and vote often between now and April 9th! You must check something for all 24 categories, but you can skip awards that you don't want to vote in by checking skip to go on to the next category. It only takes about 5 minutes a day. Betty and the Cast thank you for your votes! Here's a clip from season three of Betty White's Off Their Rockers. Now on the Lifetime Channel, Friday nights at 10 PM. This was a radio show I did not so long ago It was lots of fun. These were some lovely pieces. Flawless diamonds beautifully designed jewelry! This is a clip of me, from season one. New episodes on Lifetime Channel, check local listings for days and times.